Black rhinos, one of the most endangered species in the world were being brutally killed by poachers until one good man came up with a brilliant idea. Rhinoceroses, a wild majestic species, who used to freely roam around during the beginning of the 20th century, is now one of the most endangered species. In fact, it's on the verge of extinction. Rhinos are hunted and killed for their horn and skin. 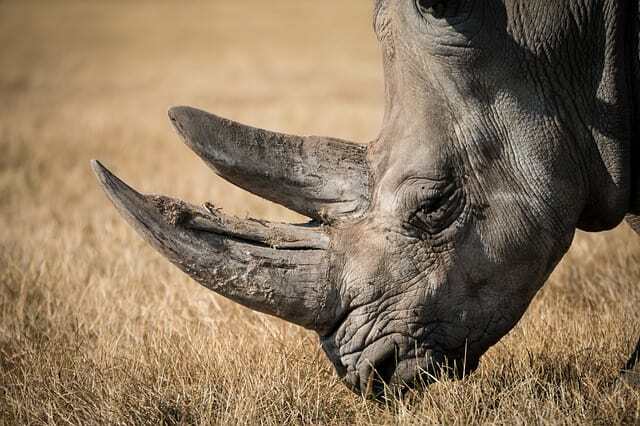 According to CBS, poaching these majestic creatures in certain areas of Africa has got so bad that poor rhinos are under attack, almost every day. 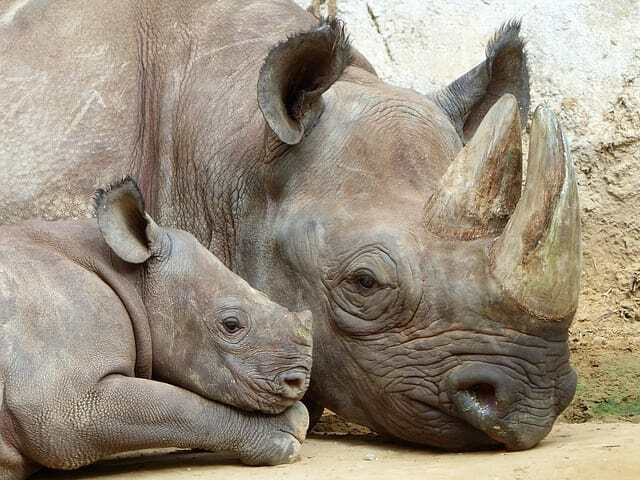 More and more rhinos are being transferred from their natural habitat to wildlife reserves and sanctuaries, just to protect them but they still, remain one of the most endangered species. The black rhino, the most endangered type of rhino in South Africa, are still being poached brutally, despite the measures taken. 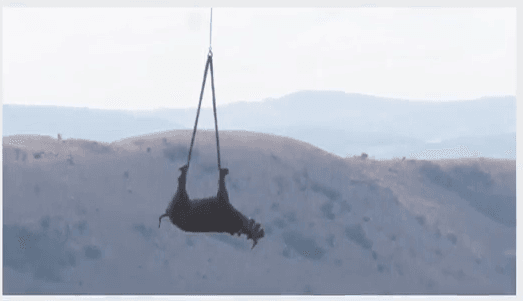 Seeing the miserable condition of the rhinos in Africa, a team of veterinarians and pilots decided to try something weird and bizarre to help the creatures. They spot these animals which are founded near mountains, forests, riverside, and once they spot them they shoot it with tranquilizer darts. The darts are filled with heavy sedatives, which enables the rhinos to sleep for almost 30 minutes. These darts are sharp as they have to go through the rhino's thick skin. Immediately, after the shot, the team rushes to the rhino to treat its wound with antibiotics to avoid any kind of infection. 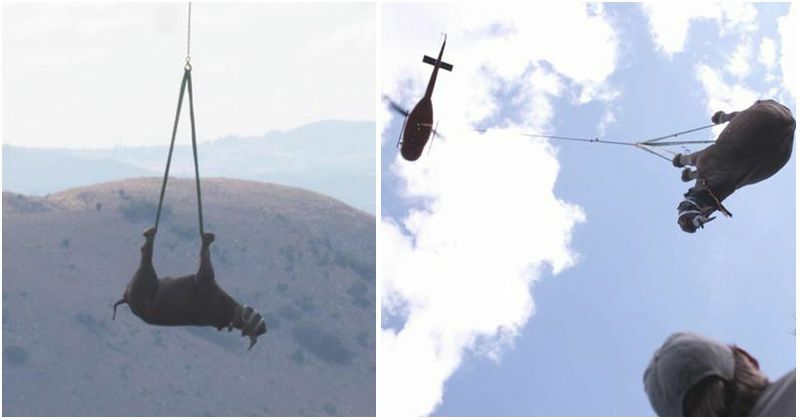 The rhino is then tied and carried by helicopter. Yes, a helicopter! They are taken to a private land where they are kept safe and can meet other rhinos, reproduce. The man behind this idea, Jacques Flamand, is a vet who has successfully engineered the laws of aerodynamics and proposed an idea to save rhinos from poachers and pull them out from inaccessible spots to someplace they can feel safe and be around their own kind. "That was 15 years ago. 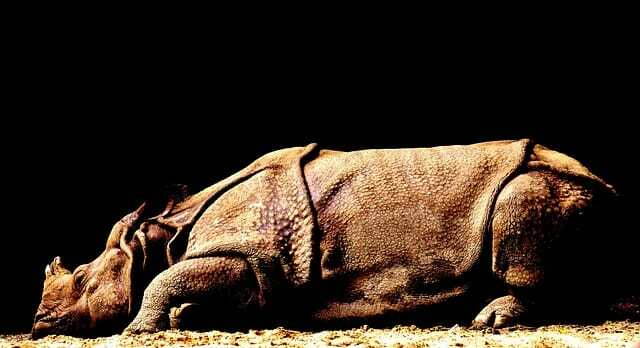 The black rhino was a critically endangered species. To get the numbers up, Flamand started the Black Rhino Range Expansion Project with the help of the World Wildlife Fund . The idea was to take a small number of rhino from government parks and settle them in new places, mostly on private land, where they would breed and create new populations." - as told to CBS. 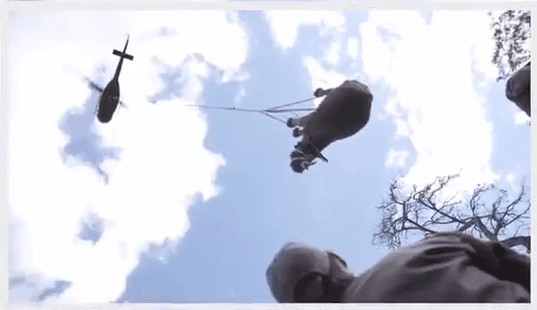 Flamand and his team, with the help of helicopters, have successfully saved a lot of rhinoceros from poachers and moved them to safe private habitats. As bizarre as it may sound, using helicopters has saved both time and money. This idea of Flamand is working wonders and the black rhinos are not that vulnerable as they used to be. You can read more about Flamand and WWF's idea Here.